Topic: "Islamic Law: A Primer"
Please Note Speaker Change - Royal Brown has family health issues - Please keep the Brown Family in your prays .. Miracles happen. Dr. Welton is Professor Emeritus at the United States Military Academy at West Point. Before retiring from active teaching in 2012, he was Professor of Discipline (International and Comparative Law) at the Academy, and Program Director for the major in International and Comparative Legal Studies. He holds an A.B. with Honors from Stanford University, an M.A. in International Relations from Boston University, a J.D. from Georgetown University Law School, and both the LL.M. (Master of Laws) and S.J.D. (Doctor of Juridical Science) degrees from the University of Virginia Law School. Prior to assuming his civilian academic position in 1999, he served as a judge advocate in the United States Army. His assignments included Chief of International Law for the U.S. Army, Europe; Legal Liaison Officer at the American Embassy in Bonn, Germany; Senior Instructor in the International Law Division at the Army Judge Advocate General’s School; and Deputy Legal Advisor for the United States European Command. 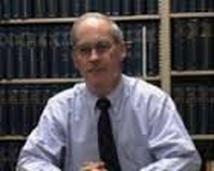 The main focus of his academic work is Comparative and Islamic law. He has published Islamic Law: A Primer, and has presented papers and lectured on Islamic law in numerous governmental and academic venues, including the Blain Sloan Lecture at Pace University Law School (published as “Islam, the West, and the Rule of Law” in the Pace International Law Review), the National Defense University, the University of Nebraska Law School, Northern Kentucky University Law School, Syracuse University, the University of Virginia Law School, Hamilton College, the Office of Defense Counsel, Military Commissions (Guantanamo), as well as over a dozen presentations at the Pentagon and numerous panel presentations at the New York City Bar Association. His most recent publication is the chapter entitled “Jus ad Bellum and the Islamic Reformation” in Just War in Religion and Politics (University Press of America, 2013). Other publications include chapters on “Taxation” and “Customs” in The Handbook of the Law of Visiting Forces (Oxford University Press), “Islam and Power” in Modern Legal Systems Cyclopedia, and “Military Service and Religious Freedom” in The Encyclopedia of American Civil Rights and Liberties. He is a member of the Middle East Institute and contributes book reviews in the field of Islamic law for The Middle East Journal. He is married to Jaleh Welton, formerly instructor of Persian at the United States Military Academy. They reside in The Villages, Florida, and have two children, son Ian and daughter Shawn, and two grandchildren, Logan and Hannah.